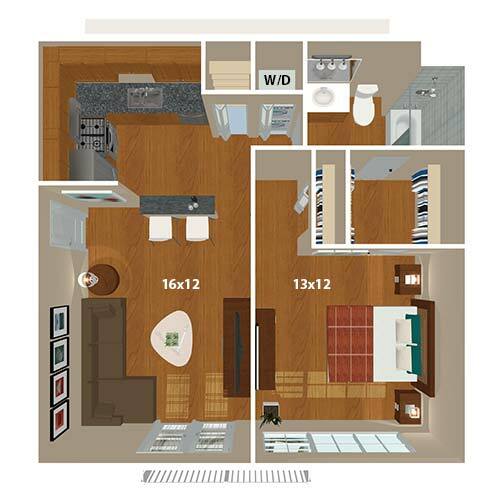 Find a home that’s both comfortable and stylish at 865 Bellevue Apartments in Nashville, Tennessee. 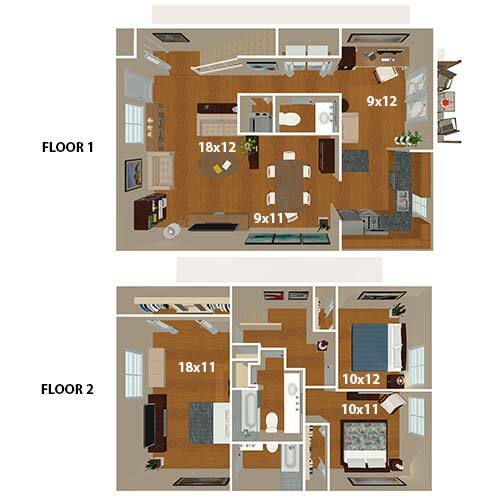 Choose from a spacious one, two, or three bedroom floor plan ranging from 655 square feet to 1,603 square feet. 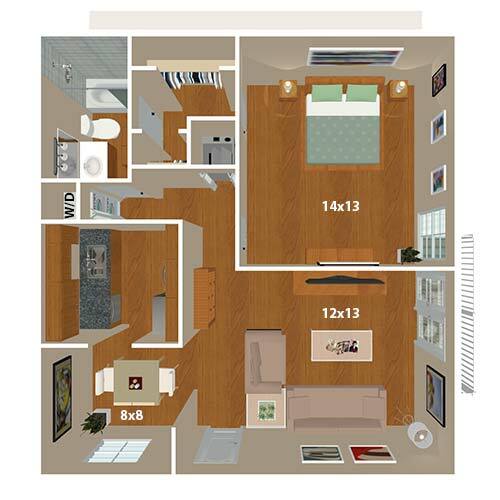 Inside, you’ll appreciate perks like large walk-in closets and even built-in bookshelves in some floor plans. Your space even expands into the outdoors with a private patio or balcony. Add a few plants along with comfortable furniture and you’ll have your very own outdoor oasis. 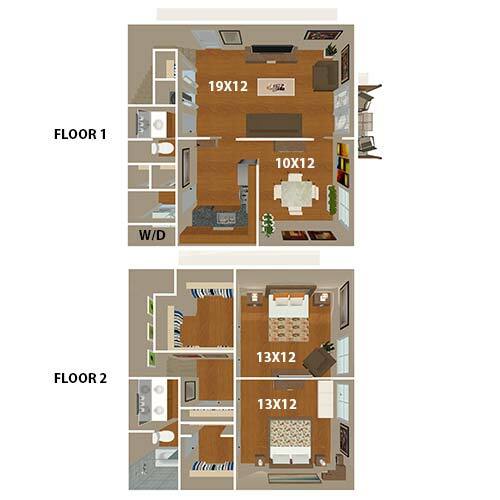 Once you’ve found the floor plan that best suits your lifestyle, you can start molding it into a space of your own. Warm wood-style flooring and classic plantation blinds create a sleek foundation no matter your style. 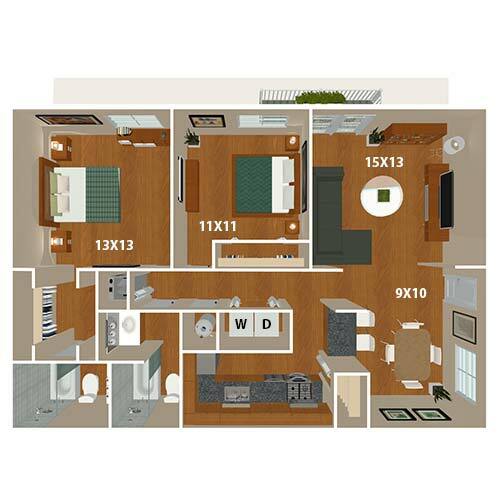 Some floor plans include gorgeous French doors, sleek stainless-steel appliances, and a large double vanity in the bathrooms. 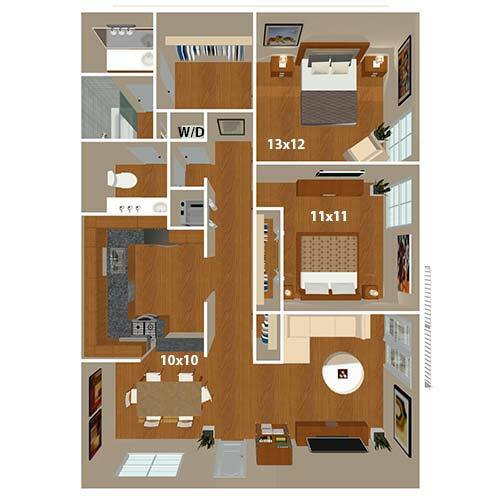 Just add a few paintings from a local artist along with a few accent pieces and you’ll have a home that celebrates your unique taste. 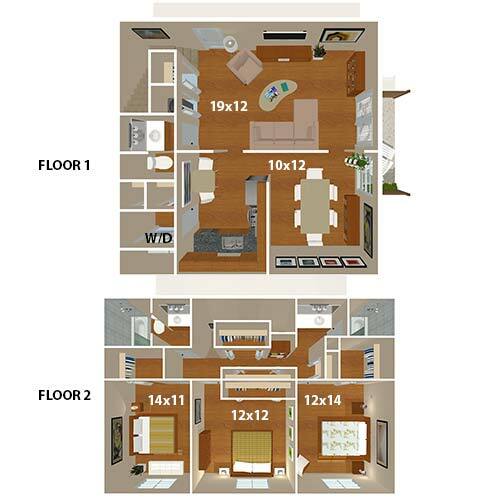 Scroll through our available floor plans. 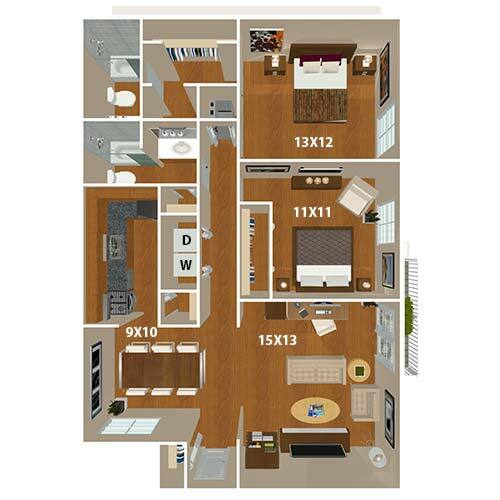 When you’ve found your favorite layout, give our professional leasing team a call to see it in person with a private community tour.